Old scratched up records end their musical journey as they become dormant and unplayable. 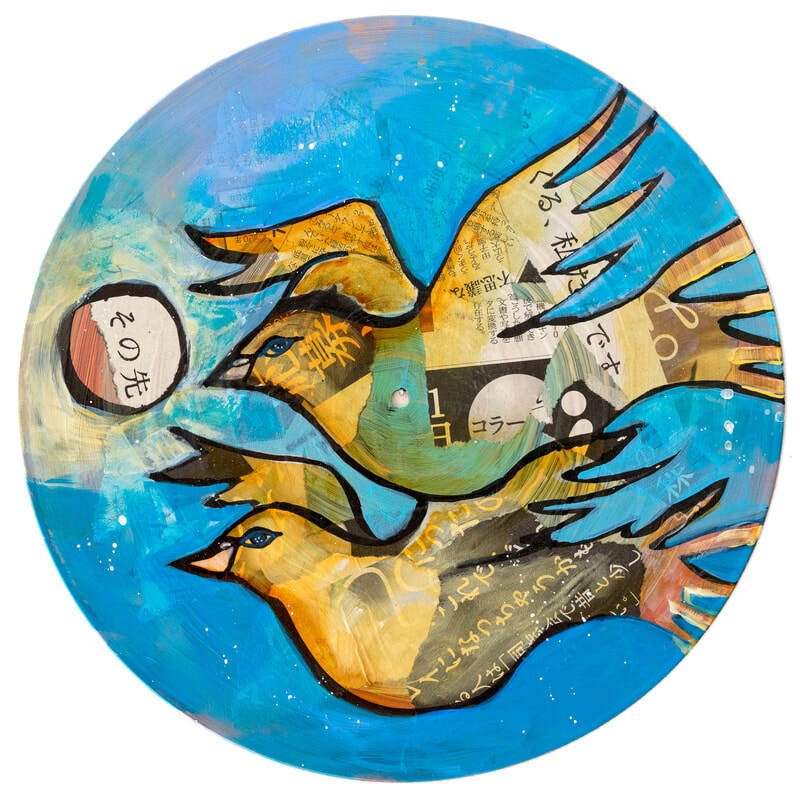 This work picks up where the stunted life of a discarded record leaves off, imbuing them with new energy and purpose. 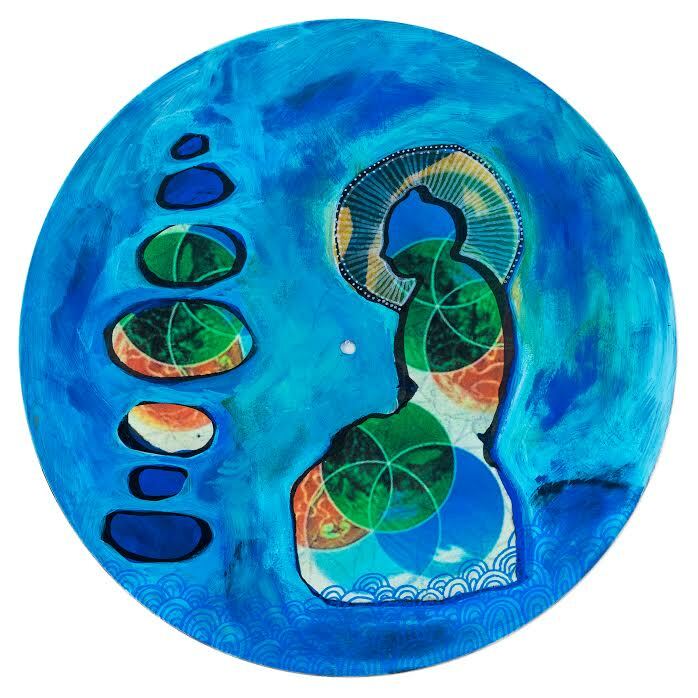 These 3 acrylic paintings on vinyl are mandalas - a Sanskrit word that means ‘sacred art within a circle.’ Each vinyl record mandala is a visual meditation reflective of the time of its creation and directly inspired by the natural world. 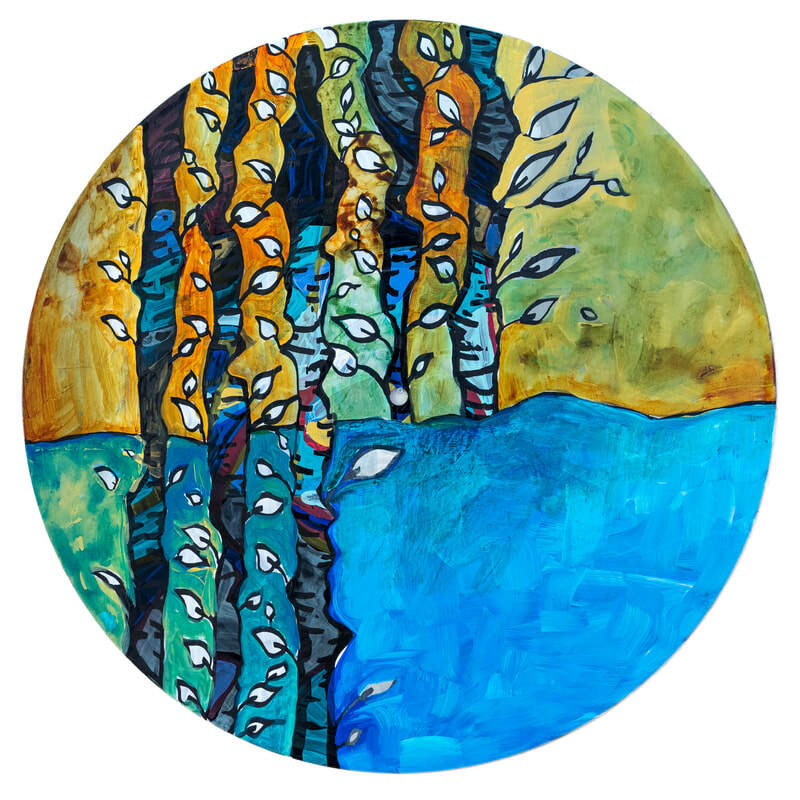 Sara Roizen is an artist and licensed board-certified creative arts therapist. She received her BFA in Painting from the Rhode Island School of Design and a Masters in Art Therapy from Pratt Institute. Her blog, Art Therapy Spot, has well over 10,000 likes on Facebook. For her, art making is a way of life and imbues her days with a sense of purpose and joy.